Front (l-r): Carmel McKeown and Una Murphy. Back row (l-r): Karen Whyte, Lourda McHugh, Marita Staunton, and Caroline Walsh. 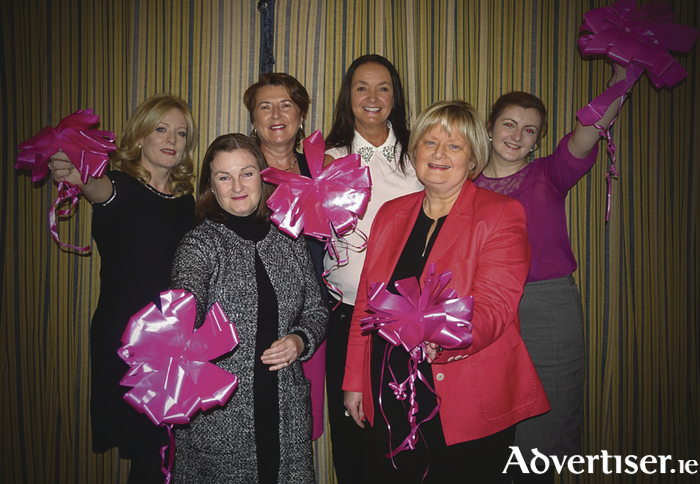 Mayo Pink Ribbon, the charity supporting breast cancer research, will host a soiree of fashion, food, cocktails, and jazz on Friday November 25 in Knockranny House Hotel, Westport. The MC for the evening will be Mandy Maher, TV3 stylist and owner of Catwalk Model Agency, who will host a fashion taster and judge the Best Dressed and Best Pink Accessory competitions. The evening will kick off at 5pm with a cocktail, canapés, and a jazz reception followed by dinner and is expected to conclude after 8pm. Music will be provided by the renowned jazz band Ain’t Misbehavin, so it promises to be a fun-filled evening with many great prizes to be won. This is a opportunity to enjoy a wonderful evening with friends and family while supporting breast cancer research. Tickets are limited and cost €55 — to book contact Caroline at 086 239 2365 or Una at 087 797 6799. Do you want to teach in England or Wales?